On Monday the 17th of October, we were pleased to be invited by 5 Ways to Wellbeing to give a talk about Colwyn Bay THI as part of a heritage morning for the Caffi Conwy group members. 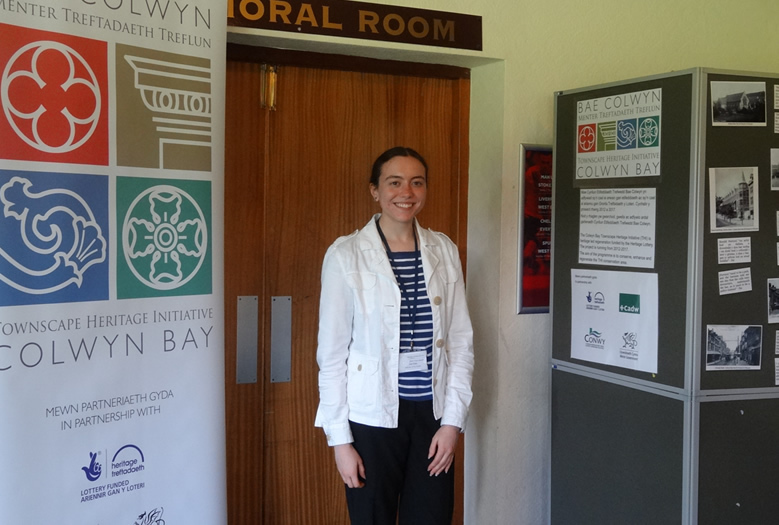 Katherine Dutta gave a talk which covered the aims of Colwyn Bay THI, what the project has achieved so far and an overview of the buildings and why they are improtant to the town’s heritage. The group also enjoyed talks by Helen Jackson from 5 Ways to Wellbeing about Colwyn Bay’s history, and another talk by Kathy Barham about Book Of You, an online tool to help those living with Dementia.